Teeth can crack for a number of reasons; perhaps you have fallen or gotten hit in the face, or maybe you simply chewed on something hard. A cracked tooth is unfortunate, but you do not have to worry because there are several effective solutions for a cracked tooth. At Foutz Family Dentistry, we have seen countless patients with cracked, chipped or broken teeth and offer a number of procedures to repair your damaged teeth. 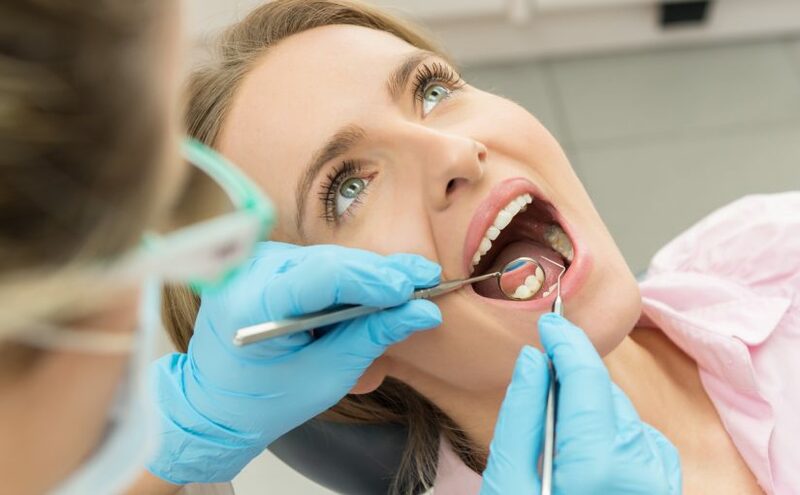 The right solution will be dependent on how severe the damage to the tooth, but with over 30 years of experience Dr. Foutz has the knowledge and experience needed to deliver the finest dental care. A porcelain crown is placed over a tooth, surrounding the enamel. In essence, a crown functions as a cap on the tooth, protecting it from continued damage, easing pain while chewing, and improving its appearance. Crowns are made in tooth-colored porcelain that look natural but are strong and durable. Crowns are made individually for each person ensuring that you receive a crown made specifically for your teeth that will be comfortable and permanent. A fixed bridge consists of one or more artificial teeth that are attached to crowns on adjacent teeth. A bridge may be a good option if you have more than one cracked tooth as it can help if you have more than one cracked tooth. A bridge is also a good option if your tooth is so severely cracked that it must be removed; it helps to complete empty spaces giving a natural complete looking smile. A dental implant is one of the most sought after solutions for replacing missing teeth or improving the appearance of severely cracked or damaged teeth. Dental implants can replace a single tooth in between two health teeth, allowing you to only address the tooth in question. With a dental implant, the severely cracked tooth would first be removed. After the gum has healed, a porous metal anchor is first placed into the jawbone and given time for osseointegration. Afterwards a mounting post and a specially designed crown are attached to the post and positioned at the gum line. Dental implants function like natural teeth and can be used as anchors for crowns, bridges or to secure loose dentures. Cosmetic bonding is more commonly used for minor cracks or chips in teeth. Using a tooth-colored composite resin, a cracked tooth is filled or repaired helping to improve its aesthetic appearance. Bonding can provide long-lasting results but is better used for smaller corrections. Porcelain veneers are custom-made shells that are made to look like a natural tooth. A veneer is created to match both the color and shape of your teeth, but is bonded to the tooth in order to correct minor flaws. With a veneer, you can retain your tooth and its natural strength while improving the appearance of a cracked tooth. To learn more about effective solutions for severely cracked teeth in Henderson, Nevada, call Foutz Family Dentistry today at (702) 792-5929.